You are currently browsing articles tagged Impact and Engagement Awards. Research that is helping to save children’s lives in rural India, protecting endangered species in Africa, and opening children’s eyes to science in the UK are among those shortlisted for the University of Reading’s Research Engagement and Impact Awards 2018. 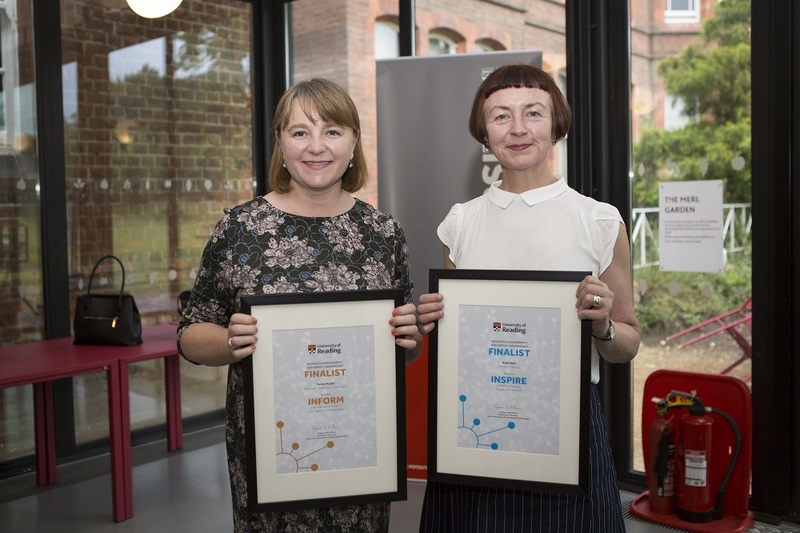 Two of last year’s Impact and Engagement Award finalists, Dr Teresa Murjas and Dr Kate Allen. The awards, which are in their second year, aim to recognise staff at the University of Reading who have achieved extraordinary things by interacting with people in the real world to drive better understanding of research and bring about change.